In this Inside Sponsorship episode we speak with Colin Anstie, from Raging Digital, and go inside using LinkedIn to connect with sponsors. 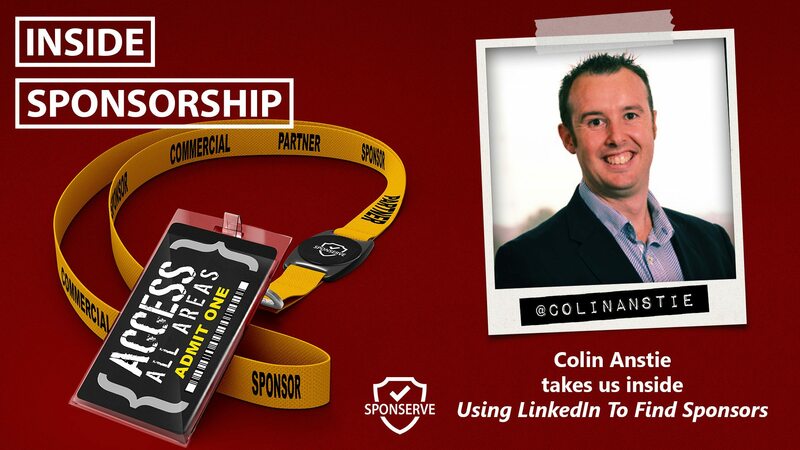 If you want to know how to use LinkedIn effectively then Col is your man and considering how many of us under utilise LinkedIn, I invited Col on the show to discuss how sponsorship and commercial managers can effectively use LinkedIn to connect with potential sponsors and get meetings. It is chock-a-block full of practical advice so I guarantee you will learn something. In our regular catch-up with Mark Thompson, we chat about the relationship between Return on Objective and Return on Investment and which is most important in retaining sponsors.